It’s official — 2017 is the Year of the ABT. Why not, the ABT is the DNA of story, as my good buddy Park Howell of “The Business of Story” podcast likes to say. It’s the central tool for our Story Circles Narrative Training which continues to spread. 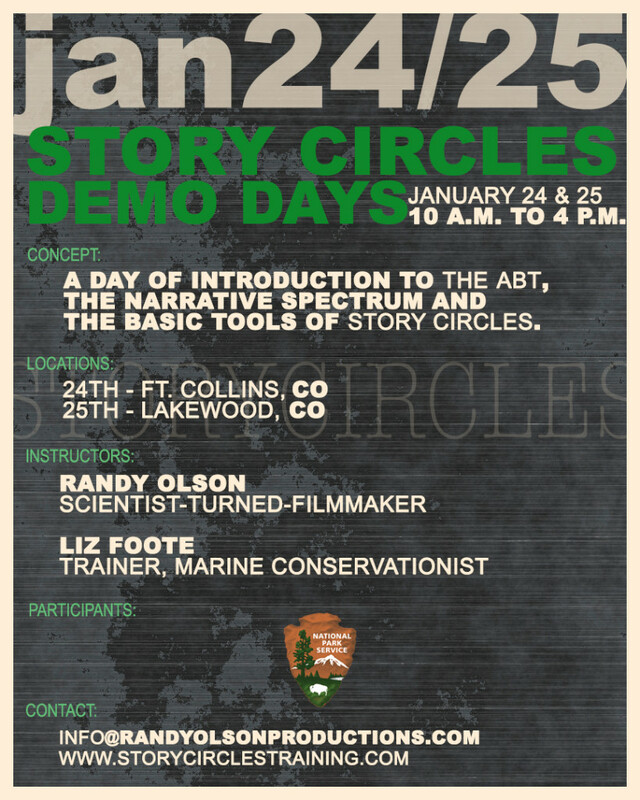 This year Story Circles kicks off with two big Demo Days for the National Park Service in Colorado later this month. Also, we’re up to our elbows editing the 20 minute video about Story Circles we’re doing as a co-production with AAAS. And in the meanwhile, the corporate and political worlds are starting to “get it” on the ABT and Story Circles. 2017 will truly be the Year of the ABT. TIME TO LAUNCH STORY CIRCLES WITH THE NATIONAL PARK SERVICE. Two days with 40 participants each in Fort Collins and Lakewood (Denver). A great way to start the new year!